Used Rolex transitional sports models are becoming the next big thing in the vintage watch collectors market. 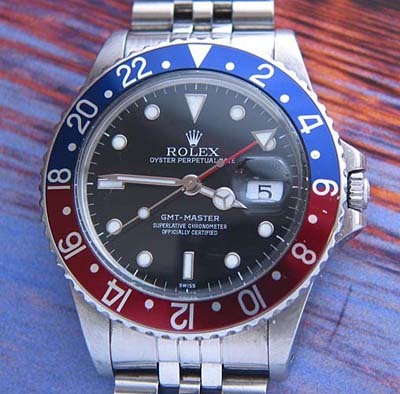 This Rolex GMT model 16750, should be considered vintage as it is fitted with a plastic or acrylic crystal. However the watch uses a fast beat, quick set date Rolex caliber 3075 movement, which is identical in function to the most recent model GMT 1 that Rolex made, the 16700 which was shod with a sapphire crystal. 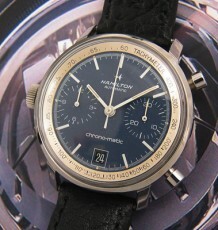 Many collectors consider these watches the best of both worlds as they offer vintage charm and modern utility. The fact they were produced for such a limited time in the 1980’s helps to foster interest in the models. 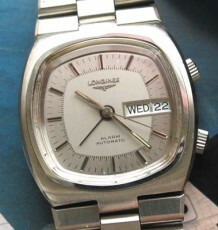 This particular watch dates to 1984 based on the case serial number in the 8.6 million range. The watch was last serviced at Rolex in 2002 and had a new dial and hands installed as well as a full factory service including a new bezel insert, tube and crown and a case and bracelet polish. 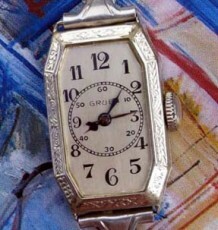 The watch still keeps excellent time and the case still have the sharp beveled edges. The cost of this most recent service was over $1000! The watch is fitted with a genuine heavy link Rolex Jubilee bracelet as many of the GMT’s were shipped and sold with Jubilee bracelets as an option. The Jubilee bracelet gives the watch a completely different look and is a lot more appealing than I would have imagined. The watch will be supplied with the service records pictured, there are no original boxes or Chronometer papers with the watch. 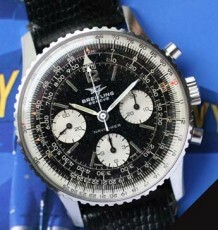 Many are familiar with the history of the GMT being developed for use as a pilots watch for Pan American Airlines when they started flying intercontinental jet aircraft and pilots were coping with the new phenomenon of jet-lag. The Oyster case measures 40 mm wide by 48 mm long.